It was a convocation day at IIT Madras and during the ceremony one of the students narrated a story of a little girl. The girl had a little brother who was suffering from a brain tumor and doctors advised operation. However the surgery would cost a fortune and she overheard her parents that nobody was willing to lend them the money and only a 'miracle' could save their son now. Deciding to take matters into her hands the little girl poured out all her savings and went to the medical store to buy a miracle. She approached the counter where the pharmacist asked her what she needed. She replied, "It's for my little brother. He's really, really sick and I want to buy a miracle." "I beg your pardon?" said the pharmacist. "His name is Andrew and he has something bad growing inside his head and my daddy says only a miracle can save him. So how much does a miracle cost?" The pharmacist politely informed her that they don't sell miracle at the store and urged her to go home. However the little girl stood her ground and said , "Listen, I have the money to pay for it. If it isn't enough, I can try and get some more. Just tell me how much it costs." A fellow customer was intently listening to this conversation and he asked the little girl, "What kind of a miracle does you brother need?" "One dollar and eleven cents, but I can try and get some more", she answered. "Well, what a coincidence," smiled the man. "A dollar and eleven cents the exact price of a miracle for little brothers." The man then went to the little girls place with her and met her parents and introduced himself as Dr Carlton Armstrong, a neurosurgeon. He performed the surgery on the boy and he made full recovery. "That surgery," her mom wondered "was a real miracle. I wonder how much it would have cost?" The little girl smiled. She knew exactly how much the miracle cost one dollar and eleven cents ... plus the faith of a little child. The narrator concluded saying, "Perseverance can make miracles happen." 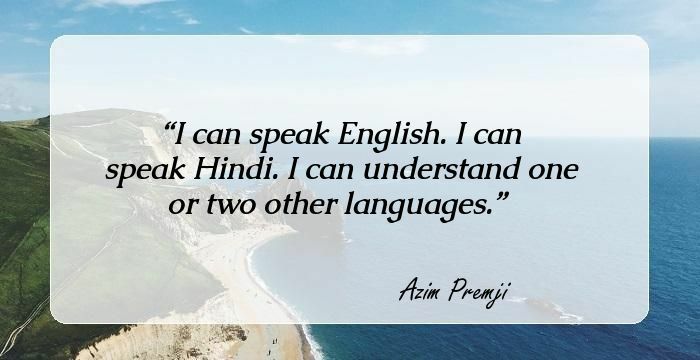 He was none other than Azim Premji who diversified Wipro and transformed it into one of the leading It companies across the globe. 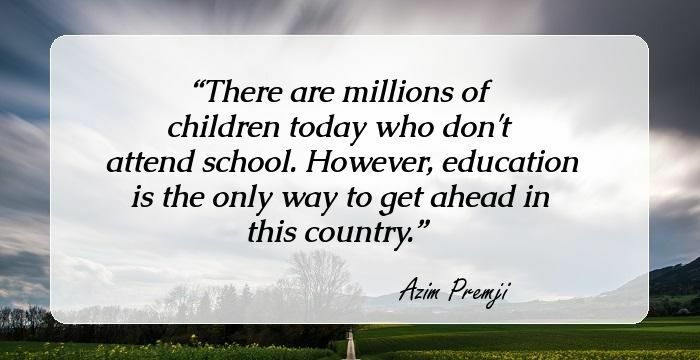 Here are a few motivational and thought-provoking quotes by Azim Premji himself. Success is achieved twice. Once in the mind and the second time in the real world. As you get bigger, you have to learn to delegate. When the rate of change outside is more than what is inside, be sure that the end is near. My company believes in hiring people based on merit. As an advisor, I can say what I want. 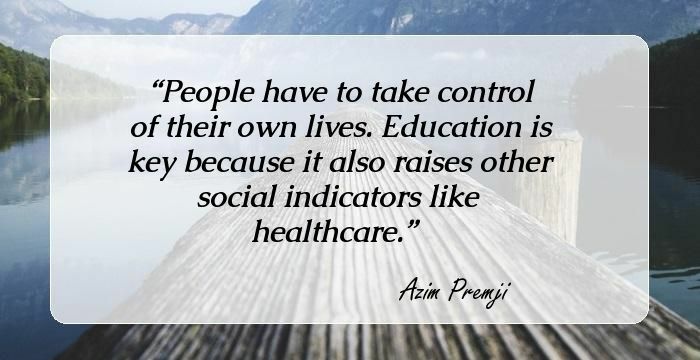 If I were a politician, I would constantly have to compromise, and I'm incapable of doing that.